We have quite a giveaways starting on November 1 and I really hope some don't get lost in the crowd. This being one of them. Are you or your kid(s) a fan of all the different Disney/Pixar characters? We have a Disney Infinity Wii Starter Pack that will surely please them. Enter to win before November 15th. Best of luck. 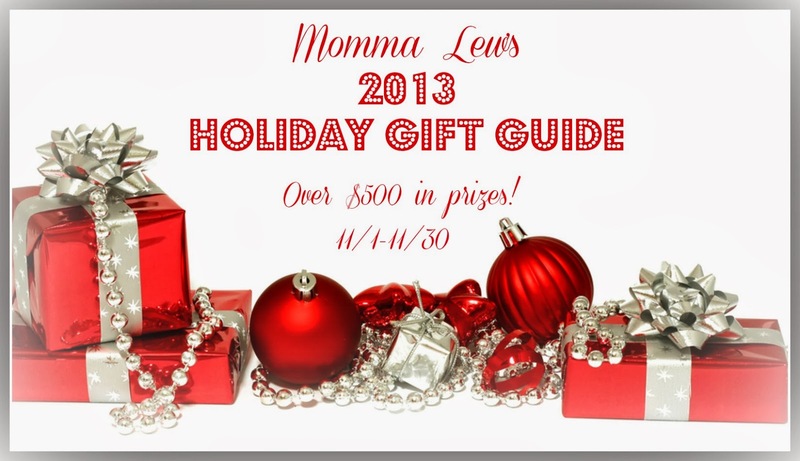 It is time to officially kick off Momma Lew's 2013 Holiday Gift Guide! 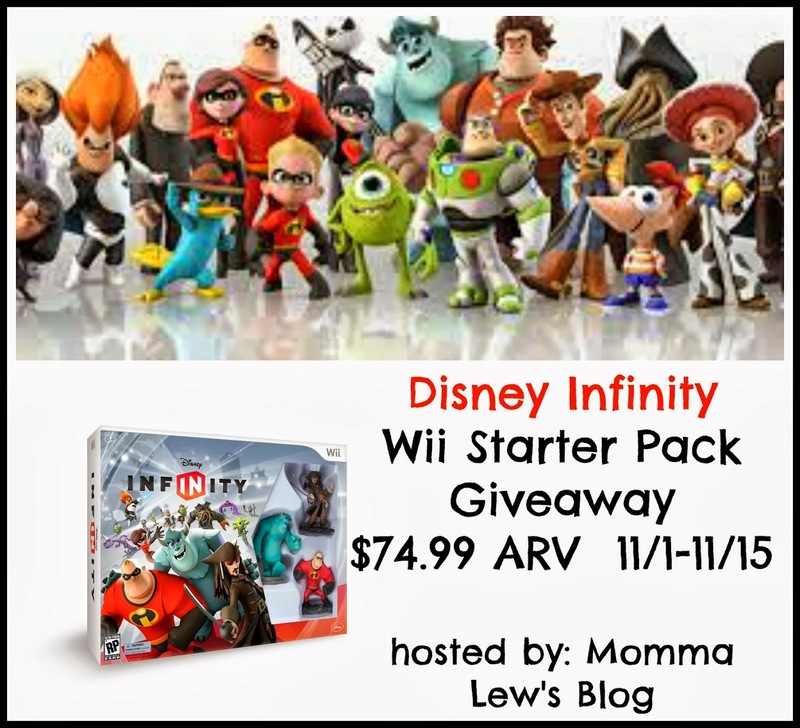 The first Giveaway in this month long series is a Disney Infinity Wii Starter Pack! And to all of our participating bloggers! Disney Infinity is one of the holiday season's hottest video games! Disney Infinity figures are compatible with all Xbox 360, PlayStation 3, Nintendo Wii and Nintendo Wii U consoles. Disney Infinity gives you the complete freedom to create a world straight from your imagination! To find out more about how Disney Infinity works check out Momma Lew's complete review. 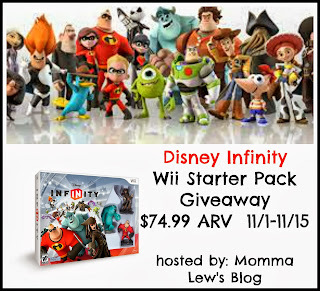 One lucky reader will win their own Disney Infinity Wii Starter Pack (ARV: $74.99)! Giveaway is open to US residents, 18+. Begins November 1st and ends November 15 at 11:59pm EST. One entry per household. To enter, follow the steps on the rafflecopter below. Disclosure: Momma Lew's Blog received a Disney Infinity for review and all opinions are 100% her own and were not influenced in any way. All participating bloggers are not responsible for prize fulfillment. Social media networks are not affiliated with this giveaway. This disclosure is done in accordance with the Federal Trade Commission 10 CFR, Part 255 Guides Concerning the use of Endorsements and Testimonials in Advertising. this would be for my son josiah and i want to play with Monsters inc. This would be for my granddaughter. My favorite is the Squishable Baby. This would be for my friend. I am most excited to use the Monsters Inc. characters. This would be for my little brother! I would probably use Perry!